The UD Ministry said that after his resignation from the CM's post, Kejriwal should have vacated the house after 15 days as per the rule. The Urban Development Ministry has written to the Delhi government asking it to return the Tilak Lane flat alloted to former Chief Minister Arvind Kejriwal when he was the Chief Minister. Kejriwal, who resigned as CM, was alloted the three-bedroom C-II/23 flat at Tilak Lane in Lutyens Zone by the UD Ministry in January as Delhi government had made a request for a suitable accommodation in Central Delhi for its Chief Minister. According to the official, the market rent for the Type VI flat is between Rs 50,000 to Rs 60,000 per month. The official said there was no comunication from the Delhi government yet on the status of the Tilak Lane flat as it should have been returned to Directorate of Estate by March 1. Though it’s not mandatory for the ministry to extend the allotment by charging market rent, Kejriwal may be allowed to keep the house for three months. “If a request from the city government comes for allowing extension of stay at the house, then it is upto the concerned authorities to decide on it. 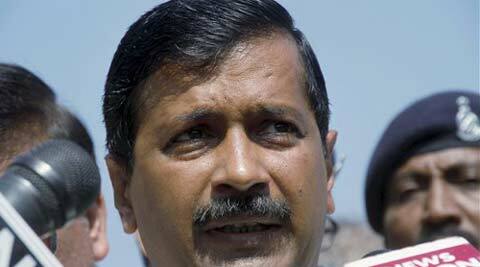 But since we have not received any response from the Delhi government, we have sought a reply from them,” he said.